There is no doubt that the European Parliament has won this time in the battle with the Council. However, there is a danger this victory to prove Pyrrhic. Jean-Claude Juncker has already been elected president of the European Commission, but the way the European Parliament tried to trade its support for him was far from the pretence "This time it's different". A big shadow of more-of-the-same was cast in the very beginning of the work of this parliament as one of the most vociferous groups for change took part in the status quo without a particle of concern. That is why, the new term will be a huge test for the readiness of the European Parliament or at least the pro-European forces to use the big spoon they won at the European elections this year. 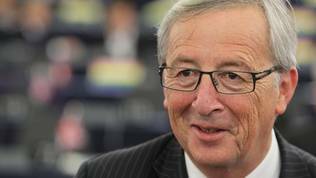 In this regard, it is a very good news that precisely Jean-Claude Juncker will stand at the helm of the European Commission because he radiates nothing more than realism and reason in a period of serious political changes both in the member states and the European Parliament. Juncker has projected realism during his meetings with the political groups and in his agenda he presented in the plenary prior to the voting of his nomination. 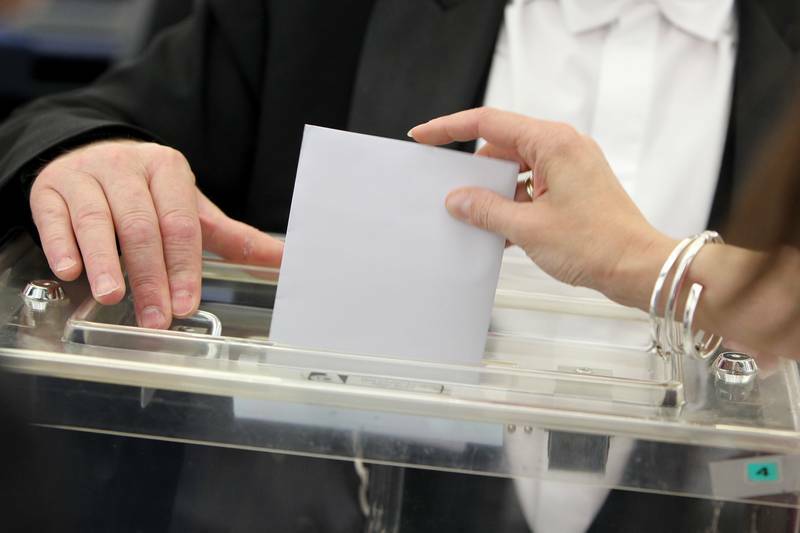 During the European Parliament elections campaign, one of the main mantras was that an end should be put to the status quo and the deals in the dark. Most vociferous proponents of this thesis were the Britons who, in the European Parliament as well, stated many times that they would no longer tolerate backroom deals. Alas, the group of the European Conservatives and Reformists (ECR), which after the elections emerged as the third biggest political group in the European Parliament, betrayed its own principles yet in the very beginning. 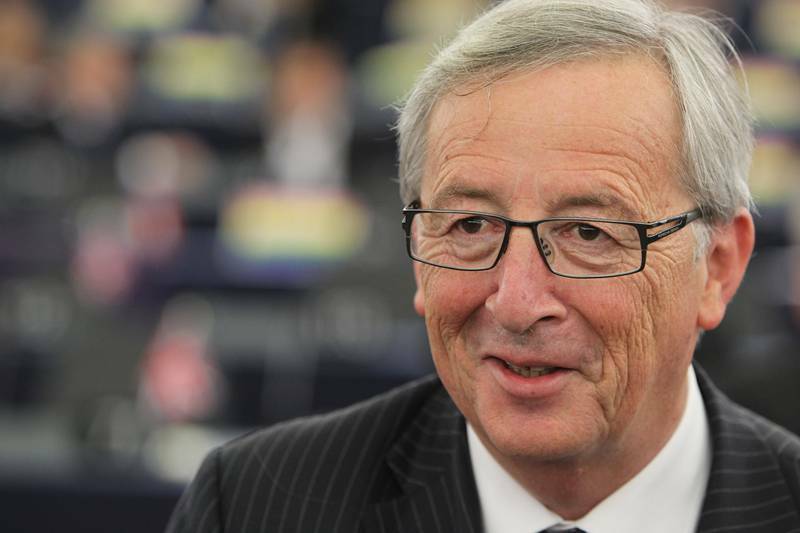 After the heads of state or government formally nominated Juncker he began consultations with the political groups. The three largest of them, however - EPP, S&D, ECR - held these consultations behind closed doors while all the others made their talks with Juncker public. ALDE, Nigel Farage's Europe of Freedom and Direct Democracy (EFDD), the Greens and the far left, led by Gabriele Zimmer, webcast their meetings with Juncker live. The three largest groups explained, responding to a question by this website, that those were regular group meetings which, traditionally, are not public. According to their explanations, those were not hearings of Juncker as the others called them but regular group meetings. And although, traditionally, these meetings are closed for media, the three groups tweeted from them all the time. The smaller groups, led by Guy Verhofstadt's Liberals, took the best possible advantage of the situation to reveal before a much broader public that during the closed meetings there was heavy horse-trading for some of the EU top jobs. This puts Juncker in a much more complicated situation than the one he had with UK because now, he should not only seek a balance with the Council but he will have to find a common denominator with the political groups in the European Parliament too. That is why he tried not to promise more than he could give and he constantly cooled down the integrationist strives of some groups or individual MEPs. Many of them asked Juncker tens of questions which he rejected with the argument that the European Commission is not as independent as it might seem. 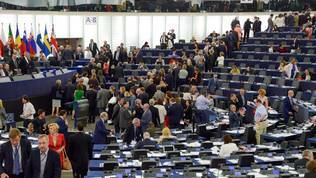 During the sessions it was clearly evident who are the newcomers in Strasbourg and who are the old dogs because the new MEPs asked their questions with a gu and were still in national campaign moods, while the veterans knew where they could go with their demands and used the debates to do politics. And although there is a specific agenda of ten points, Juncker made it clear that not much depended on him before the Commissioners are named. The agenda, he reiterated several times, has to be discussed in the College when it is fully constituted, to hear the opinion and priorities of each of the Commissioners. In the same time, not only his agenda needs to be "approved" by the Commissioners proposed by the member states, but the Commission has to abide in its work with the strategic guidelines the European Council outlined on June 27th mainly with the idea to quell any potential individuality by Juncker and his Commission. By introducing the Spitzenkandidaten procedure a precedent has been created that will have serious impact on the future of the Union. Practically, Pandora's box has been opened because, on the one hand, Juncker is elected directly by the voters, on the other by the European Parliament and on a third hand by the member states. As a personality, he is a very strong figure who has huge experience in finding solutions even to the most impossible-looking problems, but his rule in the next five years will definitely be walking a tightrope. 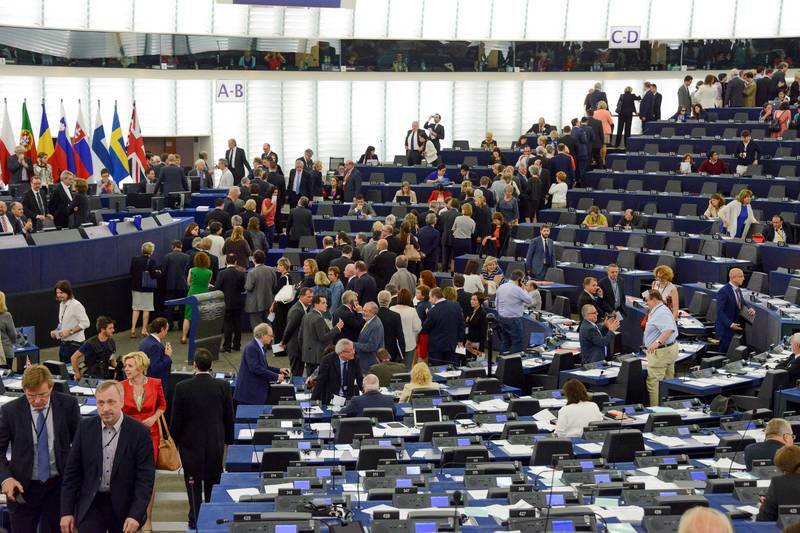 The European Parliament will not give up its ambition to continue to increase its power and the Council will try to prevent a repetition of the British fiasco. The leaders made it very clear at their June summit that they will address this issue very soon. To some extent it is encouraging that the European Parliament chief, who played a major role in passing the idea of the Spitzenkandidaten and was himself one, admitted that the idea was controversial. He did this not anywhere else but in the European Council. 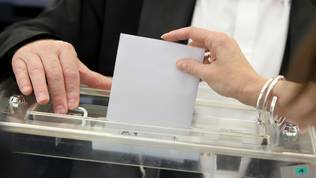 This means that the process of consideration of the next European elections could happen much earlier, without hand-twisting and with a focus really on the question how the EU can get closer to the citizens without taking the power off the national politicians. 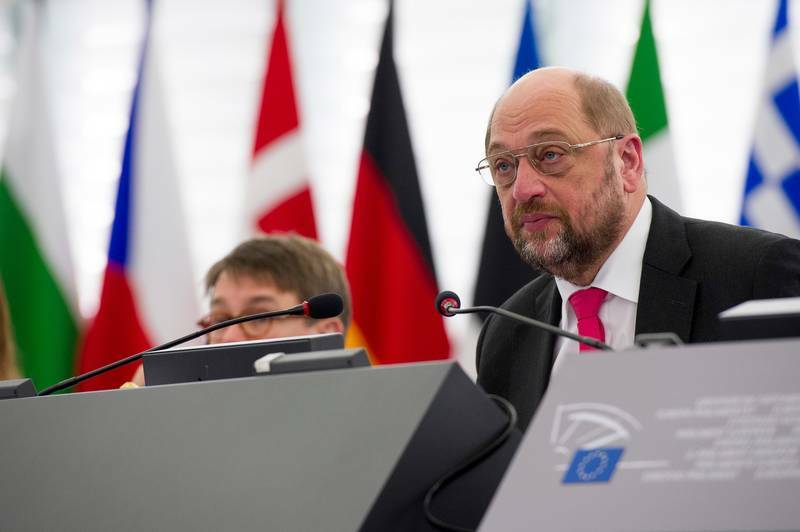 It also means that Martin Schulz has laid down the weapon for the time being. 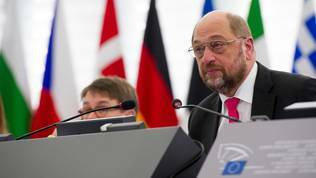 Will Parliament be quelled of the possibility not to be able to take advantage of what it has achieved will depend very much on how Martin Schulz will behave as a leader and who his successor will be in two years and a half. Thanks to the different views whether Juncker appeared at regular group meetings or at hearings another key post emerged which is not discussed at all but which seems very important to Parliament. This is the economic and financial affairs commissioner who until recently was Olli Rehn, a Finn. During Juncker's meetings with the political groups and the debate before the vote in the plenary, the most frequent questions to him were related precisely to the Union's economy. As a matter of fact, his agenda is entirely oriented to dealing with the economic problems and especially the unemployment. It is titled "A New Beginning for Europe: My Agenda for Jobs, Growth, Fairness and Democratic Change". In the past European Commission mandate, the post was significantly enhanced. This is now a first vice president of the Commission who is responsible not only for the economic and financial affairs of the EU as a whole but for the euro area as well. Barroso did this to respond to shortlived desires a European ministry of finance to be created. Barroso called on the heads of state in end-June to keep this post untouched and in the Parliament the battle has begun which political force should be awarded the seat. The Socialists said they should get it. They also insist on the position of the EU's foreign representative (Catherine Ashton's successor). EPP, too, is striving for this seat or at least to take the potential permanent seat of president of the Eurogroup (currently it is held by Jeroen Dijsselbloem who is in parallel also a minister of finance of the Netherlands). In the meantime, while the political consultation with Juncker were taking place, the relevant parliamentary committees held hearings of the substitutes of the four commissioners who became MEPs with Olli Rehn among them. The EP voted Olli Rehn to be replaced by Jyrki Katainen, the ex-PM of Finland. He is the only one who is known for being Finland's candidate for commissioner in the new term as well. The lack of clarity how will the EU top jobs be distributed, obviously including the economic portfolio, was evident during Katainen's hearing who, in his capacity as prime minister, was traditionally very forthcoming and talkative, while in the economic committee he seemed unassured, evasive and political. Jyrki Katainen spoke just like a politician unlike his predecessor who was rather an expert and a technocrat. A potential politicisation of precisely this position will create two very serious power centres in the Commission - around the already politicised position of the European Commission president and around his first deputy. If both come from different political families this will make the Commission's economic policy very difficult. Probably this is one of the reasons why Juncker tried to present a rather centrist agenda than a purely left-wing or right-wing platform against the backdrop of the very ideological election campaign. In the past five years, Olli Rehn's (Katainen's) post turned into a major one because of the crisis. After the reform of the Stability and Growth Pact and the creation of additional legislation both for the euro area and the EU at large - the European semester and the two-pack (the package of two legislative proposals for closer coordination of economic and budgetary policies in the euro area), the economic commissioner was responsible for outlining the reforms the member states need to implement and to monitor closely whether they do it. The European agenda is already entirely dominated by the European semester which starts in the autumn with the presentation of the Annual Growth Survey but since last year it is accompanied also by an interim report of the implementation of the country-specific recommendations. For their part they are published in the beginning of the summer but before them are published the winter and consequently the spring economic forecasts. The importance of this post was underscored by Croatia's Prime Minister Zoran Milanovic before the EU summit on July 16th which was scheduled to discuss the nominations for the other two top jobs - the high representative for foreign affairs and Herman Van Rompuy's successor. Croatia is in recession a sixth year in a row, in an excessive deficit procedure and with especially specific recommendations. That is why the premier stated that to him it was much more important to discuss who should succeed Katainen in the new term than who will sit in Ashton's chair because, any way, the EU does not have a very common foreign policy. Of how aware Croatia is of the importance of the economic portfolio also speaks the fact that the Croatian party that is a member of the EPP family - the Croatian Democratic Union (HDZ) - has resisted pressure to give up its seat in the powerful economic committee in the European Parliament and now they have one MEP there - Ivana Maletic. It is important to note that head of the committee is Roberto Gualtieri, an Italian MEP from the S&D group. For now, the economic portfolio is not formally in the top jobs package the heads of state will discuss at their next summit on August 30th when they plan to finish the distribution of the posts to ensure the European Parliament can begin approval hearings in September. Before the MEPs Jean-Claude Juncker presented a ten-point programme which contains some serious novelties but, generally, it is drawn in the spirit of continuity. It focuses mainly on restoring the economy with a clear distribution of responsibilities and functions. Juncker's philosophy is that growth is impossible upon mountains of debt and that jobs are created by firms if they have good environment to do that, not by governments or the European institutions. That is why, he proposes in the coming years the European budget to be used better and in a more targeted way to boost investments. He offers an agreement to be reached on additional 300 billion euros of public or private investments in the real economy in the next three years. The priority areas should be infrastructure, especially energy infrastructure, education, renewable energy and energy efficiency. His commitment to the energy union remains untouched. 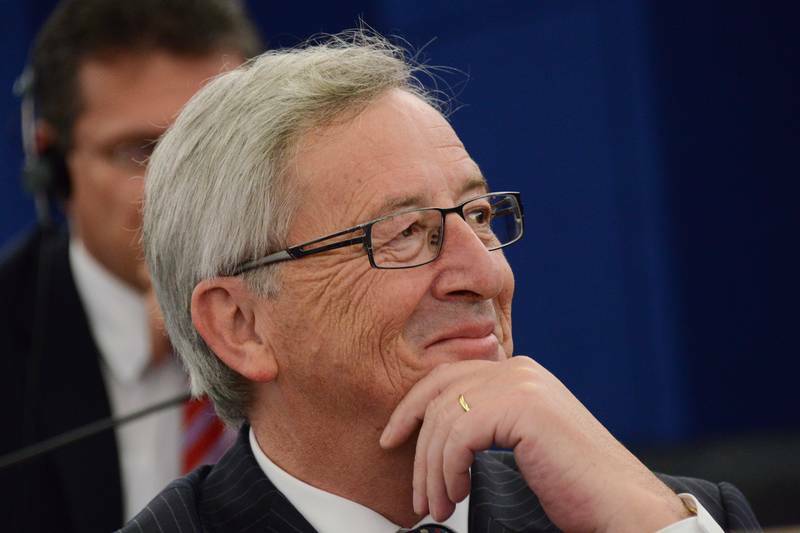 Regarding fiscal policy, Juncker will follow Jose Manuel Barroso's steps, but not quite. Upon insistence of Italy's PM Matteo Renzi, the heads of state wrote down in their strategic guidelines for the development of the EU in the next 5 years that the flexibility in all the relevant EU documents should be used to the maximum. At this stage, however, this flexibility is being interpreted very differently. That is why, Juncker proposes to draw concrete flexibility guidelines. The Stability and Growth Pact should be respected and it will not change but any flexibility it envisages will be used. Juncker also promises to entirely abolish roaming charges in the EU and to liberate the telecom and radio frequency markets. By 2020, the EU should increase the share of industry in the European gross domestic product to 20%. Currently, it has a 16% share. The European Commission president commits also to continue his predecessor's work by sticking to the report of the four presidents on the deepening of the euro area integration, but also on the road map of Barroso himself, which is a big gesture toward the former Portuguese prime minister who serves a second term as European Commission chief. In many respects, Juncker promises continuity of the previous term but the differences are tangible and show that the lessons have been learnt. He promised the MEPs that when a plan is drawn to rescue a country with troubles assessments will be prepared of its social impact and fiscal sustainability impact. This is something the Parliament strongly insisted on in the previous term when it discussed the work of the Troika. The Troika itself will also be reformed as the IMF will be invited in only extreme situations. Juncker has the ambition to make this institution more democratic. Two are the good news in Juncker's agenda. The first is that he takes the rule of law seriously and intends to appoint a special commissioner responsible explicitly for the charter of basic rights and the rule of law. This is a continuation of what Barroso's Commission started upon the initiative of Juncker's fellow countrywoman Viviane Reding. Juncker is determined to fight discrimination as well. There will be a separate commissioner for migration as well. One of the priorities of the new European Commission president is to find a common European solution to the problem of migration which will require a serious reform. There were previous attempts for such reform but to no avail. Juncker believes that migration is not a problem only for the targeted countries but for the EU as a whole and that solidarity should be stronger and common. Regarding enlargement, Juncker's position is quite contradictory. He caused strong reactions with his statement during the campaign that in the next five years no new members are expected. Before the MEPs on July 15th he mitigated the statement pointing out that he did not mean freezing of the process but it was about realistic expectations that in the next five years hardly any of the countries the EU is negotiating with (Serbia and Montenegro) will have ended the negotiations and will be ready to join. The current government in Belgrade, however, is determined to make Serbia ready for membership by 2018. Juncker is of the opinion that in the next five years the Western Balkans should be given a very clear perspective to avoid "waking up the old demons". However, in his agenda the wording is much different. It says that the EU needs a break from enlargement to be able to "digest" the 13 member states that joined in the last 10 years. This does not mean, however, that the negotiations will stop, the programme underlines. 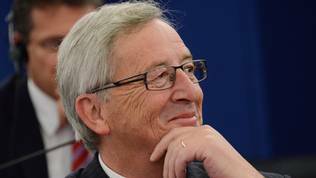 Juncker is the author of that famous remark that politicians know very well what they have to do but they do not know how to win elections after they do it. He said this right in the peak of the crisis when he was prime minister of Luxembourg and president of the Eurogroup. The irony now is that he will have to be on the other side of the barricade and to force the member states to implement reforms that will for sure throw them out of the political stage. He faces huge challenges but even greater are the expectations, especially after the European elections. How will he handle the task will show if the EU is ready for more Europe and more supranational democracy. Some minor corrections and clarifications. Gabi Zimmer is the head of the far-left, not the far-right. Rehn was not "First Vice President" (a role attached to Ashton as High Representative), but simply elevated to the VP role alongside his portfolio expansion from "Economic and Monetary Affairs" to "Economic and Monetary Affairs and the Euro". Katainen&apos;s new website does seem to use "Economic and Financial Affairs" on its header, though his mandate section does continue to use Rehn&apos;s old title (with the vice presidency). While the Socialists have pressed rather hard for the Council President and High Rep, the Economic Commissioner was mooted for a Socialist by Juncker himself. analyses Why Is Merkel Growingly Standing Behind Jean-Claude Juncker?